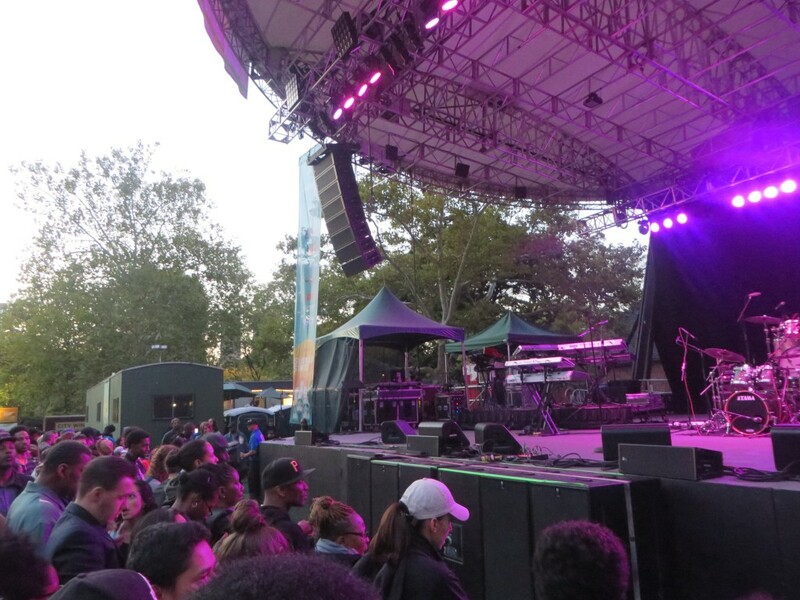 The City Parks Foundation and Capital One gave an extremely cool concert event exclusively for Capital One card holders on October 8th, 2015 located at NYC Central Park by the near 69th and 5th avenue entrance. 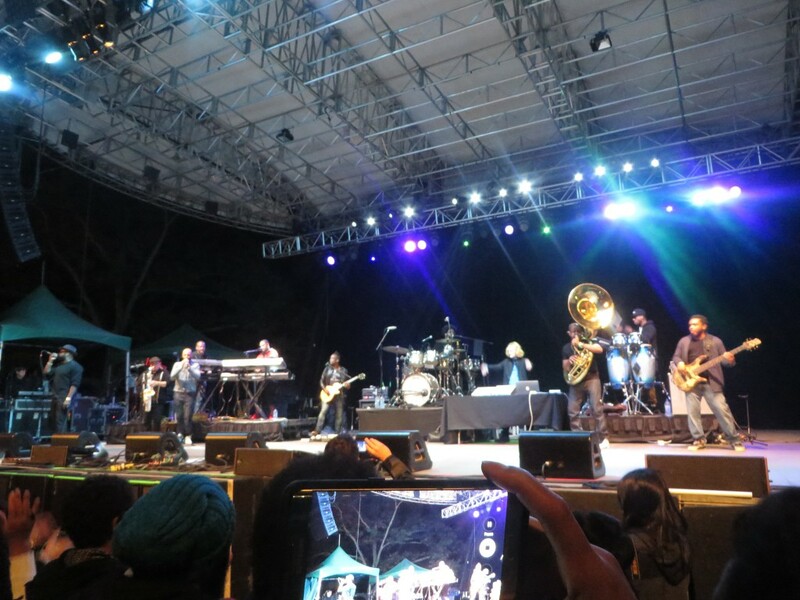 The Roots gave a spectacular evening performance along with special guests; Marsha Ambrosius (of the group Floetry), Bilal and Talib Kweli! There were some very cool surprise guests that performed as well which you will find out as you read on. Several weeks prior to the event, we had to stand on line for nearly 2 hours to get the tickets at the Capital One 360 Cafe but it was TOTALLY worth it! At first I wasn’t sure if I was going to post this but after reviewing the pictures and especially the videos, I would be remiss if I didn’t share. This was taken during stage setup. The Roots did not perform until 8pm. Most of us arrived at 5:30pm!! Hip-Hop Artist Talib Kweli was the DJ that played music from various genre which kept us all entertained while we waited for the concert to start. Yup, the day transitioned from sunlight to moonlight while we awaited the concert. We were thinking, “This better be worth it. They better perform more than just one set.” Lol!. .The energy on stage was FIERCE!!! 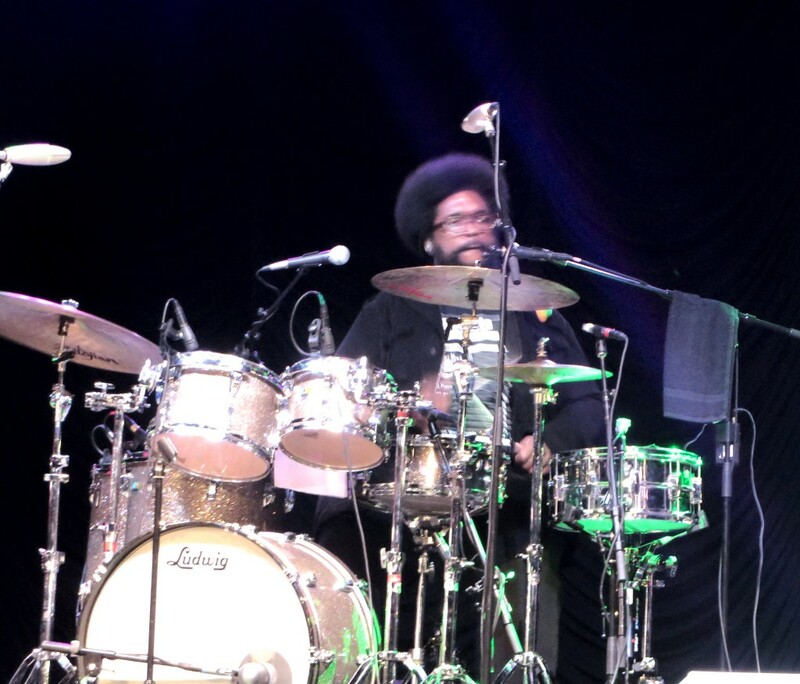 .It was cool seeing Questlove rocking those drums! Can you believe that was my first time seeing them play live? Wow..
For a more real experience, play these videos and turn up the volume! Enjoy!.. 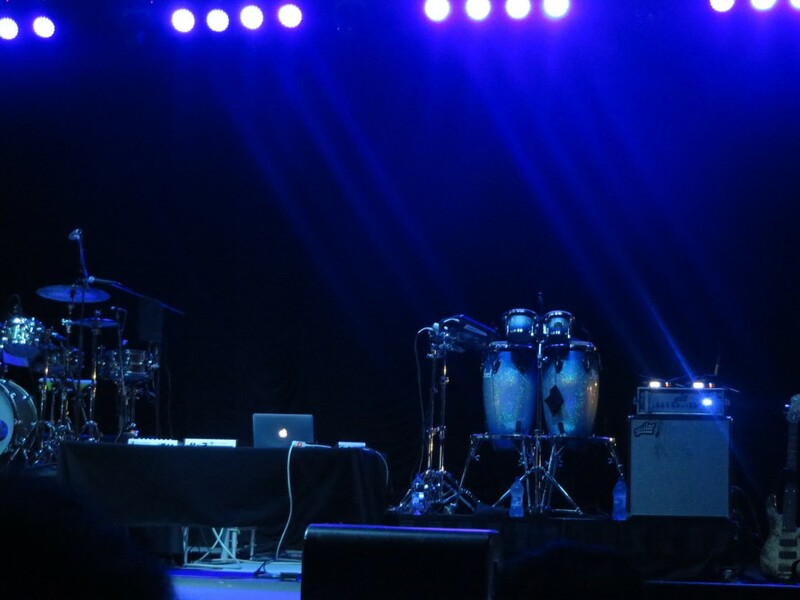 Marsha Ambrosius (of the group Floetry) opened up for The Roots and let me tell you. 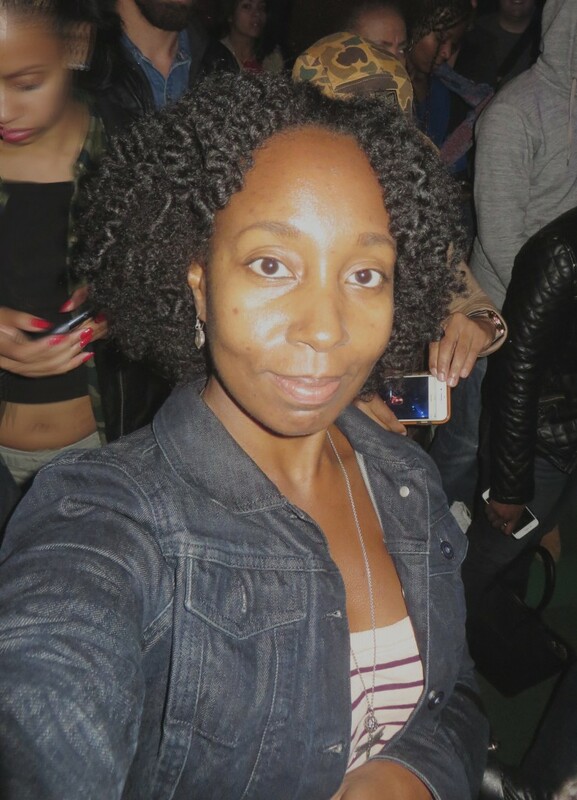 Her voice is “Hot ta def!” Play the video and hear for yourself..
Did you know that Floetry originally wrote Michael Jackson’s song, “Butterflies”? Check out this version!. The Roots perform “Jungle Boogie”!. 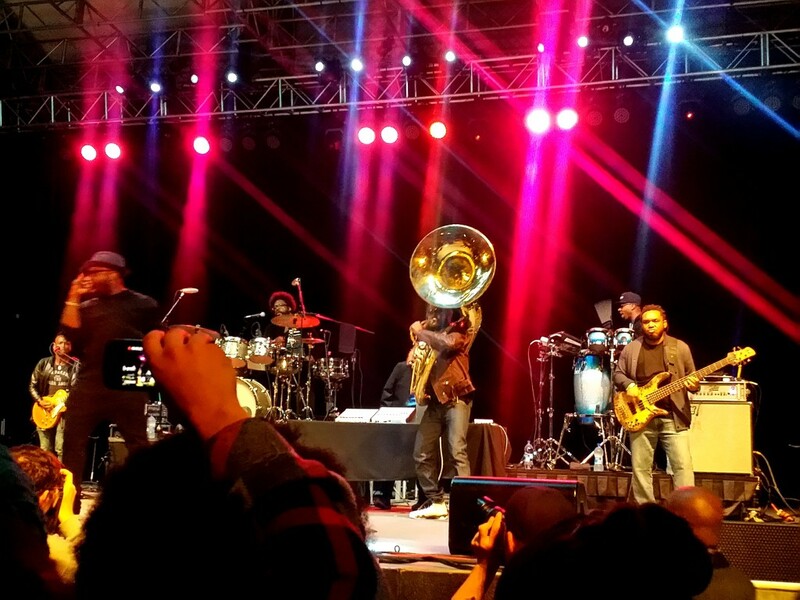 The Roots perform “Next Movement”. Live music always sounds great live.. Totally didn’t expect that artist! So glad I caught this on video!. “Hip-Hop you’re the love of my life…” Always. 😉. 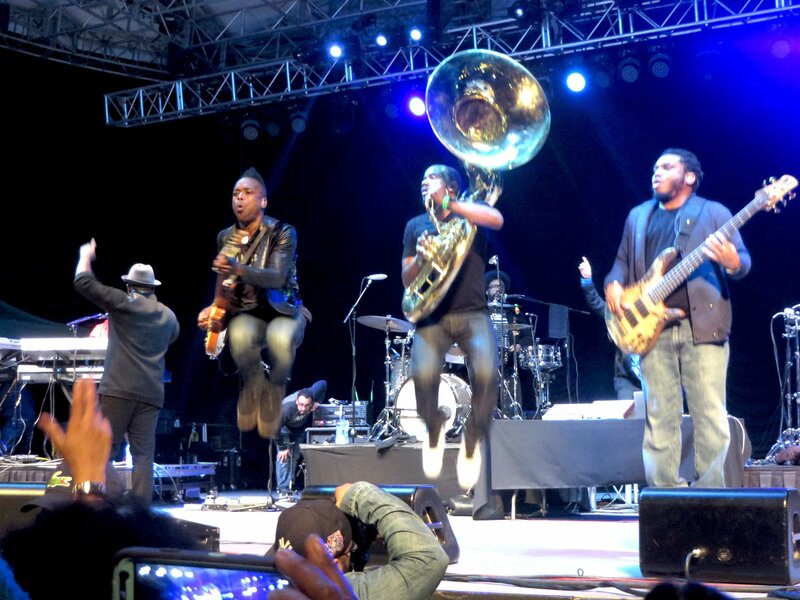 Bilal was one of the special guests performing with The Roots! He has a very high vocal range. Hear for yourself..
CeeLo Green performing “Love and Happiness” originally performed by Al Green. Any relation? I wonder….